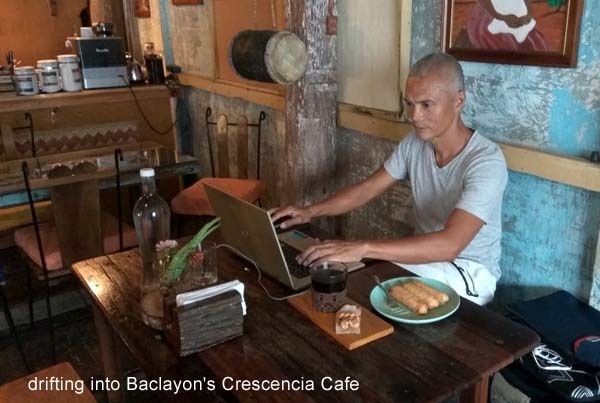 It seems like just yesterday when I arrived in Loboc and felt pessimistic about the place looking bleak - no cafe, no wifi in eating places, no movie house, no malls, etc. It was popular for its river cruise - but after that, what then? I wondered what the heck I was to do in the next 30 days. I could have moved on to a different destination but I took it as a challenge - how could I make the most out of my stay? 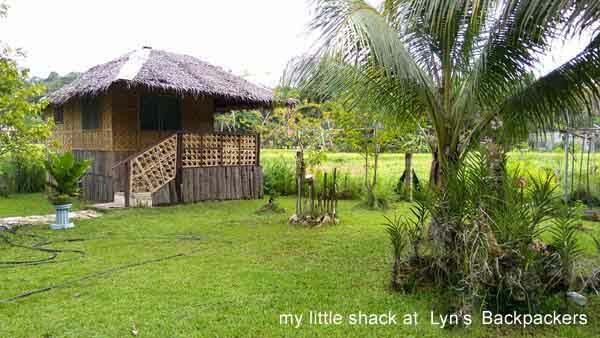 I didn't know where to begin, but luckily, I found Lyn's Backpackers Inn where I got a decent nipa hut that fit my budget. 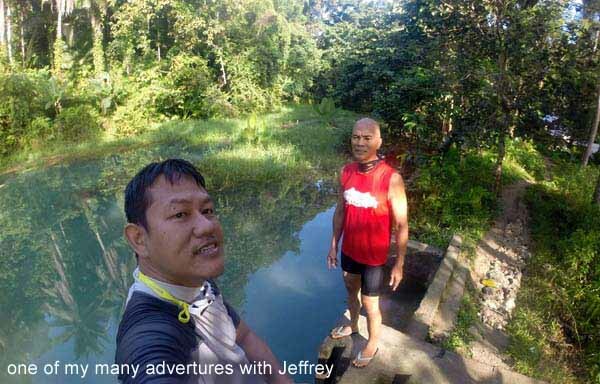 It didn't take long before Loboc unraveled through the kindness of two people who shaped my month-long experience - the father and son dynamic duo who own and run the backpacker place, Juan and Jeffrey. They are real people with sincere intentions without any pretension whatsoever. 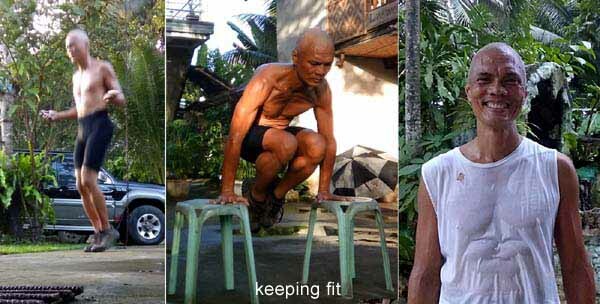 They cherish the simplicity of their lives and put value to hard work and good relationship with others. 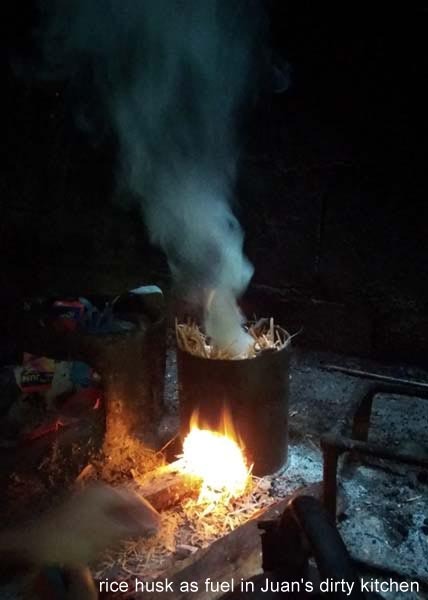 I was treated like an extra member of the family, being invited to partake in family gatherings, being taken to places only locals knew about and being intimated about the town's culture, tradition and history. 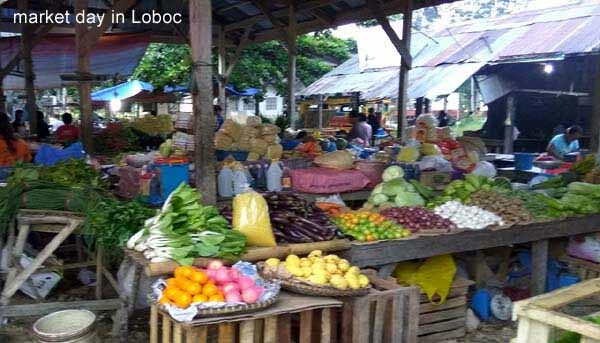 Through them, Loboc became an onion that revealed itself with the layering of its skin. I began to know and love the place as the days passed on. 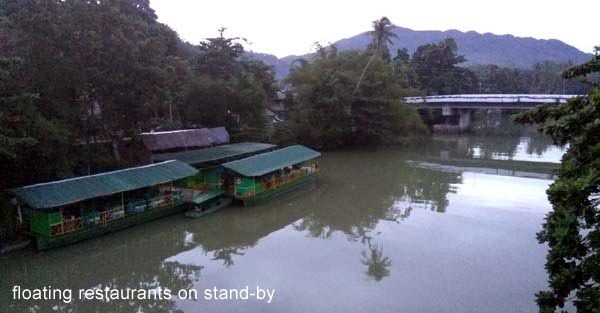 There is still no common hang-out place in Loboc for travelers - no cafe, no bars except for a few eateries. The closest thing is the Villagio Pizza but it needs a bigger space + wifi. It would be good to have one by the river for an afternoon chill or evening unwinding - without going through a resort. However, in its absence, the private resorts with their alfresco riverside resto offer an oasis. 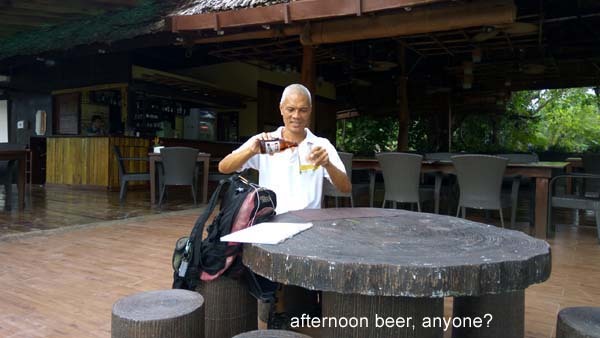 For about P60 for a beer, I get their luxurious amenities and a table by the water. Add wifi to that and you have a winner. 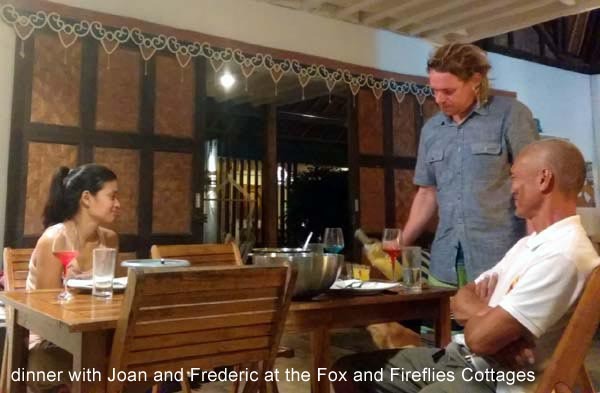 I've been to Fox & The Firefly Cottages, Stephanies and Loboc River Resort and they pretty much give you that experience. Often, I would meet fellow travelers there to exchange travel tales with. I didn't expect this development, but I somehow bonded with this dynamic couple - Joan, who is a yoga teacher and Frederic, an SUP and Kite Boarding instructor. Together, they run the Fox & The Firefly Cottages. 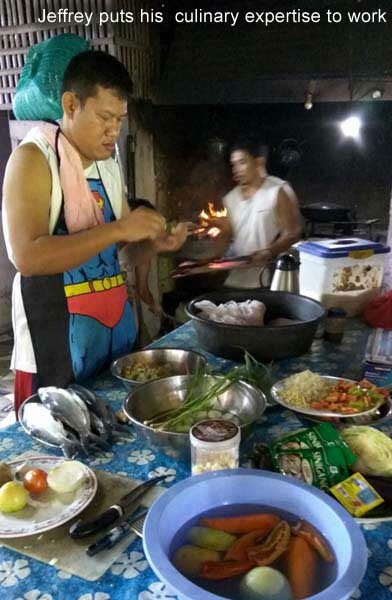 They invited me for dinner, for a river-drift SUP yoga and paddle-boarding to Busay Falls. Great couple and great river resort! With things brewing up for the holidays, I am in eager anticipation of exciting things to come. 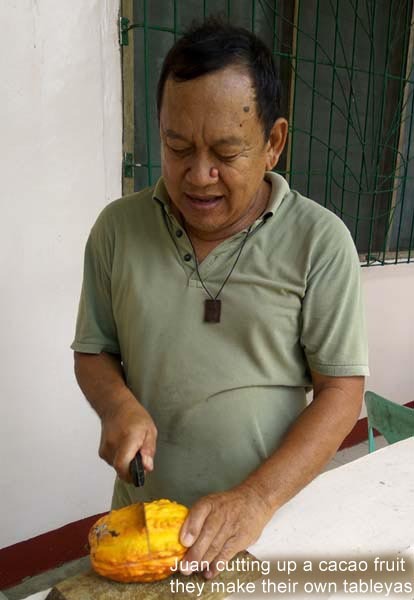 It happened in succession in 2013, but the people from Loboc talk about it like it just happened yesterday. It still remains fresh and indelibly etched in their memory. First, the earthquake hit, toppling the church down. 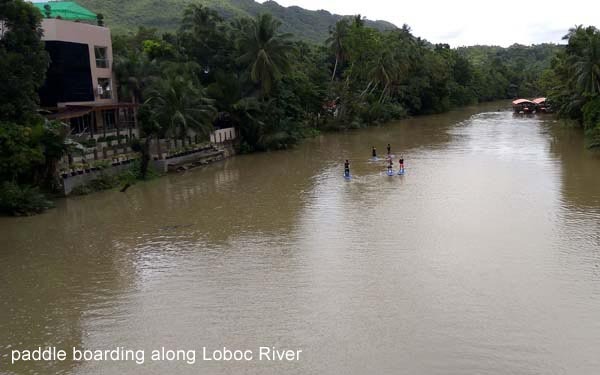 This was followed by flooding of the Loboc River where water rose 6 feet from street level submerging houses and making canals out of the streets. Typhoon Yolanda also wreaked havoc and mayhem causing extensive damage to personal property. Support overflowed from Loboc-anons from near and far around the globe. 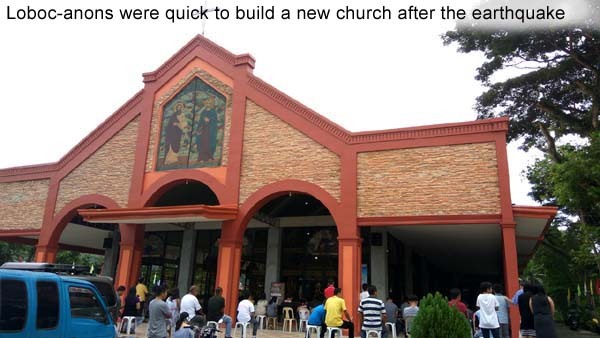 In no time, a new church was built. Rebuilding to damaged infrastructure was expedient. 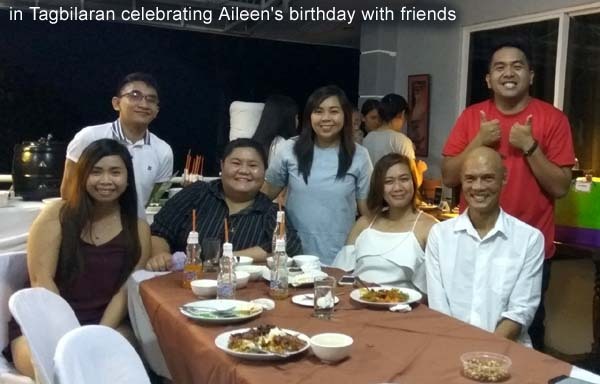 This calamity tested the resolve of the Loboc-anons in ways that surprised even themselves. 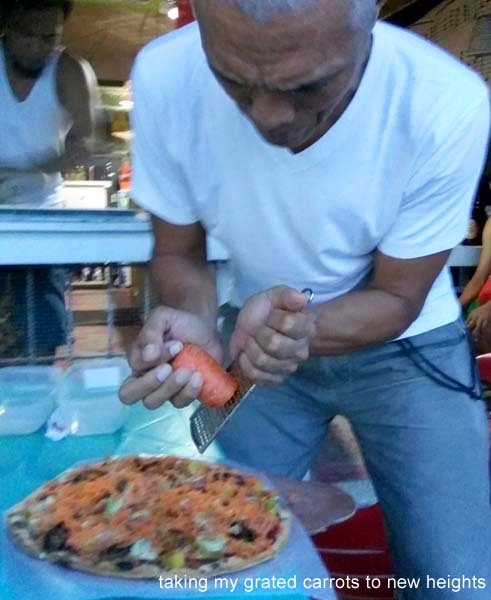 The culture has the affectionate "lambing" I no longer see in Manila. The locals seem to live in the innocent Norman Rockwell era before greed and materialistic pursuit corrupted culture. The more I meet the locals, the more I love the place and the more I feel a sense of belonging and ease. If I should get too old to be doing all this nomadic backpacking, Loboc would be a contender for an ideal place to settle in. Perhaps I even find a charming Loboc-anon to settle down with. Like the areas in Vietnam encompassed by the mighty Mekong Delta, Loboc is also ruled by its imposing river, the Loboc River. The river provides tourism dollars for its floating restaurant, provides fish harvest, fertilizes the soil, and on rare occasions when it overflows, it wreaks havoc. The river overflowed to an alarming level in 2013 so people are more mindful about it. Through the years, the river has been widening and eroding its banks. Prudent property owners try to reinforce their banks to stem this erosion. Loboc is essentially an outdoor place - the thick forest, the mountain trails, the colossal Virgin statue and imposing Cross on the summit, the zip-line and the mountain biking offerings. They all contribute to an active outdoor lifestyle that's there for the taking. 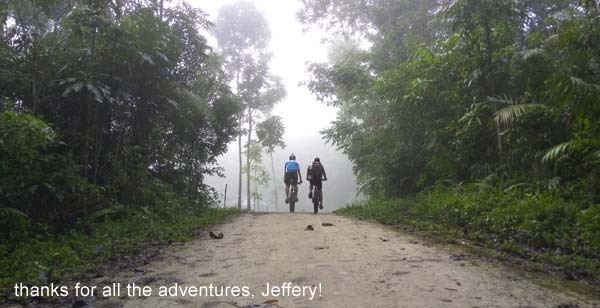 Perhaps the tourism office will take action on my idea to establish the first mountain bike resort in the Philippines. 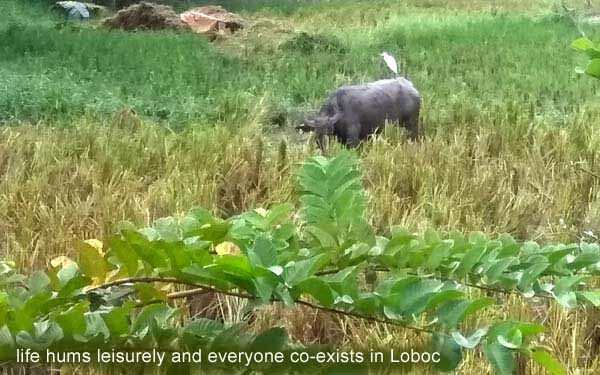 Loboc is a safe place - people look out for each other. Prices are generally more expensive since common goods have to be shipped from Cebu. 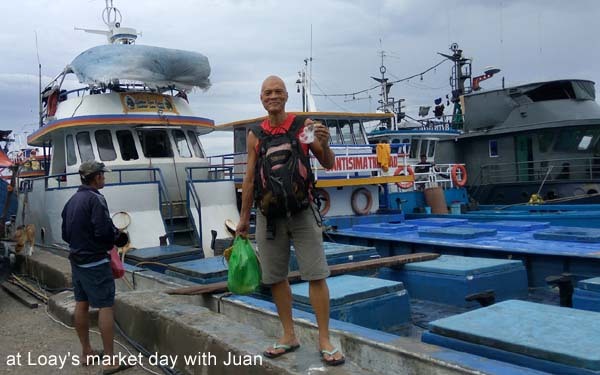 Fish is also expensive because the major resorts in Panglao and Cebu hotels get the first buy. Pace is laid back and unhurried. 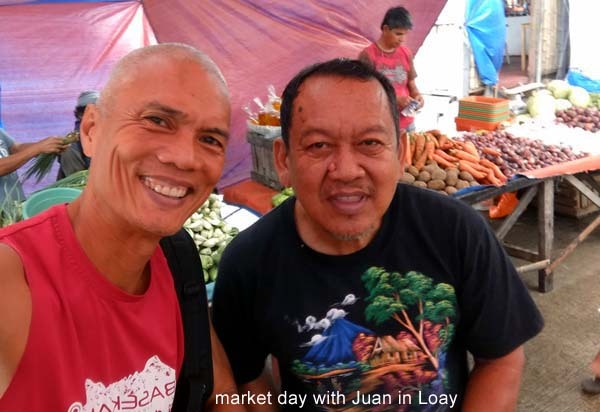 Tourism continues to be the source of livelihood and Loboc is poised to make its mark, pulling all stops with more ambitious projects in the making. This is good foresight given the eventual opening of an international airport in Bohol that would open up the floodgates for tourism. I've had private talks with its tourism office to share my insight from all the travels I've done. I've already seen many things that can be emulated - no need to reinvent the wheel. Like most of the Philippines, Loboc is devoted to the Catholic faith - perhaps moreso. Around 4:45am, a religious sermon from the church is broadcasted on the public address system followed by bells. It serves as an alarm clock to most, including those who wish to continue their sleep. 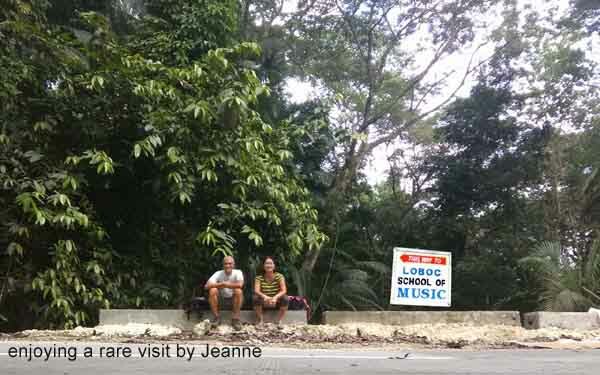 Unbeknownst to outsiders, Loboc is the music capital of Bohol. 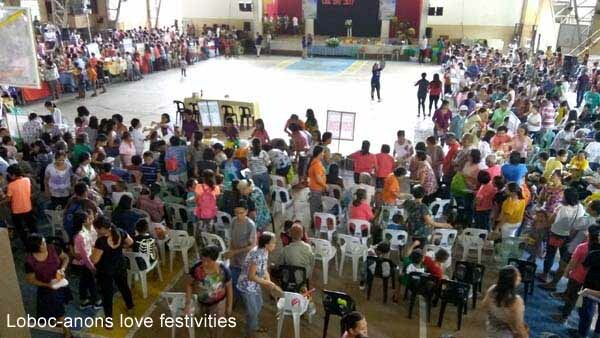 The local government and the general population support this tradition. 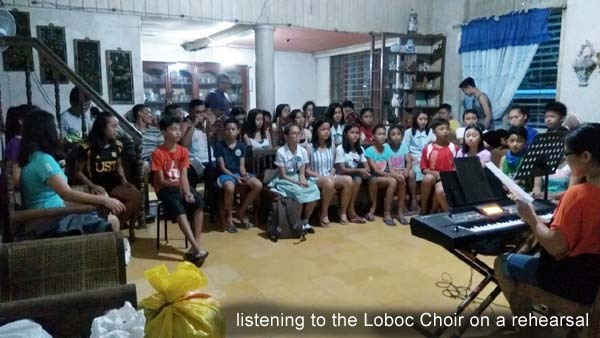 The Loboc Children's Choir has garnered international recognition, performing globally to an international audience. 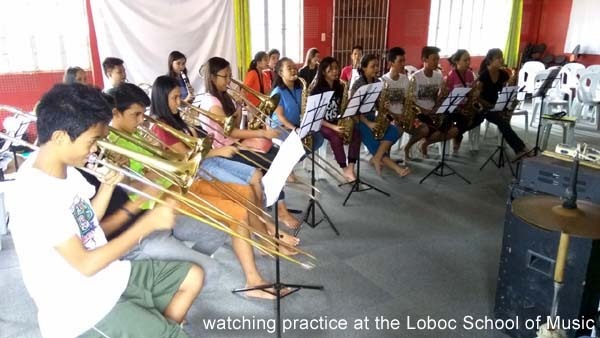 The Loboc School of Music teaches band instruments to Loboc students for free. This tradition has many practical advantages. In college, band/choir members usually get a deep discount or scholarship. In ROTC, band members are not subjected to military drills under the heat of the sun. 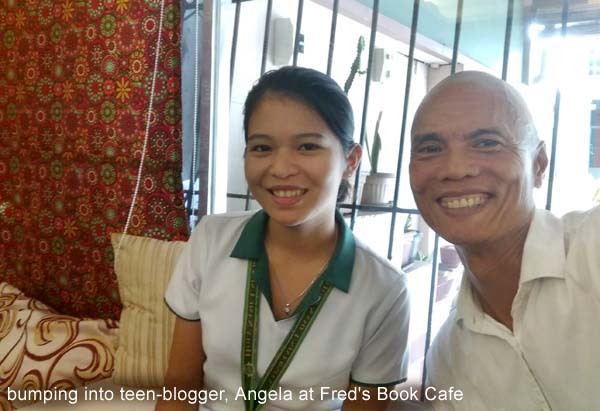 Because of these, parents ardently encourage their children to be a part of the music scene in Loboc. Another 30 days and another mini-life has elapsed. What I like about this lifestyle is the unpredictability of what's there to experience. Even though my skill set remains the same, the way a new place interacts with me is always different. With my 30 days in Panglao, it was beach, scuba diving, freediving and snorkeling. 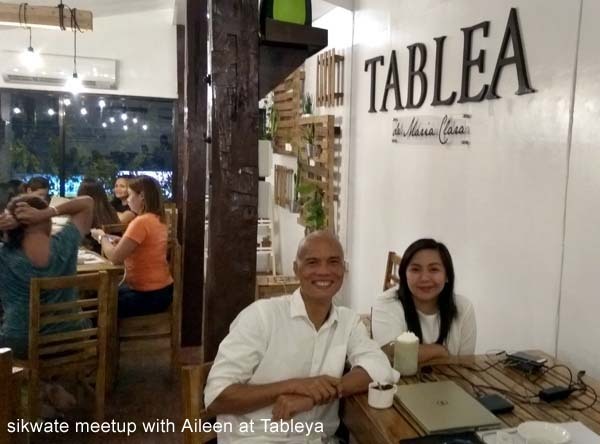 In Tagbilaran, my 30 days was all about resort life, breakfast socials, web development and involvement with the academe. 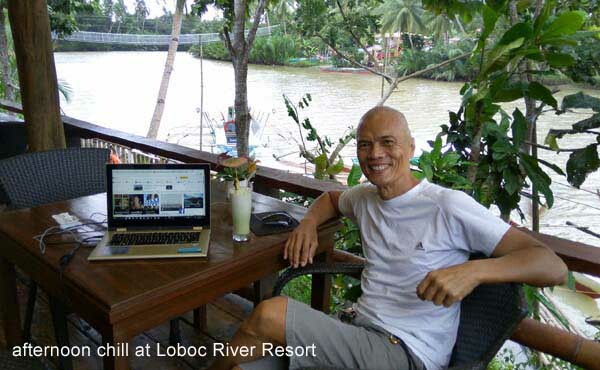 When I first arrived in Loboc, I had no idea what awaited me. But as the days passed, things fell into place, painting a clearer picture of what Loboc is really all about. 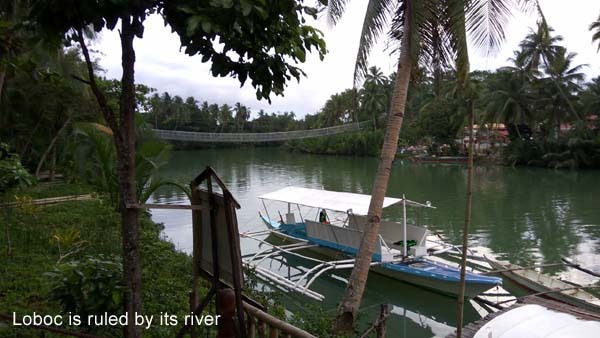 I had the privilege to experience Loboc in a way transient travelers never get to. Every place is a different life. I feel my existence in parallel lives...they just happen in succession every 30 days - by design. As much as I love Loboc, it was time to move on. My 30 days were up and I even extended almost a week while in search of a next destination. The open road beckoned and it was packing time again. Sure, I could have stayed longer and even settle down in Loboc - nothing wrong with that. The horizon seemed broad with looming possibilities. It was the case again with the Red Pill or the Blue Pill. Blue pill meant I stay, become a part of the community and grow roots. It is what people take as a default - it's almost instinctive. Religion, school, family, institutions and government architecture society so people take the Blue Pill. I can also take it anytime - it's an everyday exercisable option. Red pill means I move on and take my chance with whatever life throws at me. Unlike the Blue Pill, the Red Pill is rare and special. 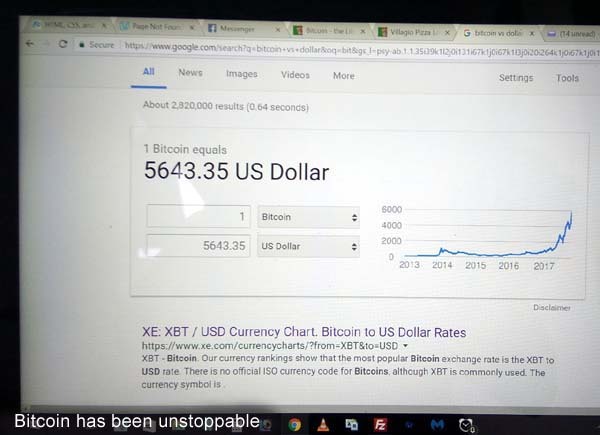 How many people actually have the privilege to walk away from their present lot and venture forward without looking back, into uncertainty with no property, very little money and no guarantee of any outcome? Even if they want to, they can't - family, social responsibility, dependents, obligations, expectations of them, etc. This holds true for anyone - rich or poor. But in a twist of fate, I can! And I appreciate this privilege. Even if I don't survive the folly of my ways (let's just say I went freediving and never surfaced up), nobody suffers, nobody goes hungry, nobody is shortchanged and nobody is left holding the bag. Maybe nobody will even notice. I am completely independent and not beholden to anyone. I don't owe money or any debt of gratitude. I have architectured my life to be free of such shackles. Non-stop mountain bike rides, ziplining, cable car rides, freediving, trekking, caving, river cruise, spring dipping, paddle-boarding, yoga, panoramic views, wood-fired pizza, Cerveza Negra....what a life! What a privilege! What have I done to deserve all these? I am humbled as much as I am thankful. Thank You Juan, Jeffrey, Joan and Frederic. And Thank You Loboc! (Nov 15, 2017) Daghang salamat, Gigit. See you soonest!